None of us in Bangladesh can think a Bengali woman without a collection of beautiful saris or sarees or sharis. In the collection there must be some colorful Tangail saris or sarees or sharis. elebele.com (এলেবেলে.কম) has been working on Tangail saris or sarees or sharis for more than 35 years. elebele.com believes that you should have a beautiful mind if you want to wear a beautiful sari or saree or shari. A beautiful saree or sari or shari (শাড়ি) is a story of a beautiful life. 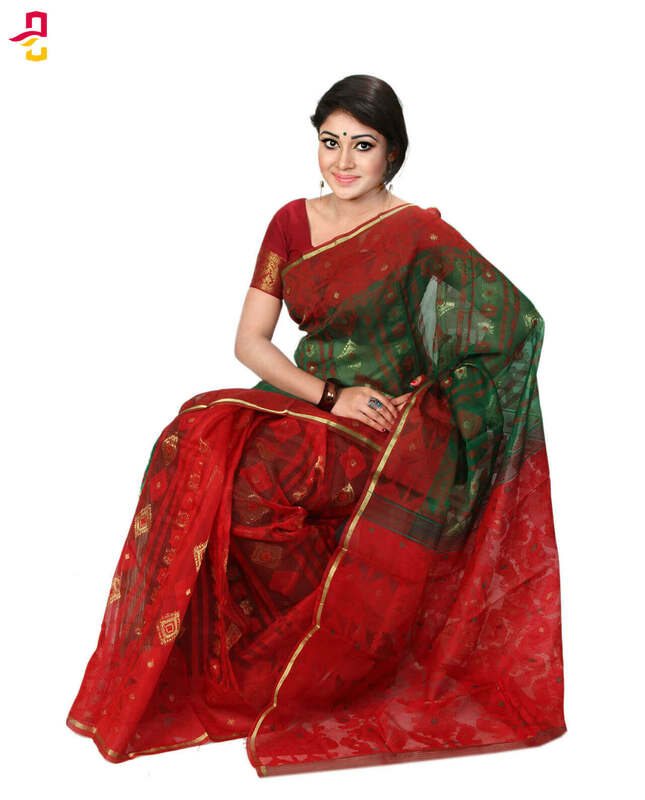 This Silk Tangail saris or sarees or sharis has been sourced from a very skilled and renowned tanti by elebele.com. 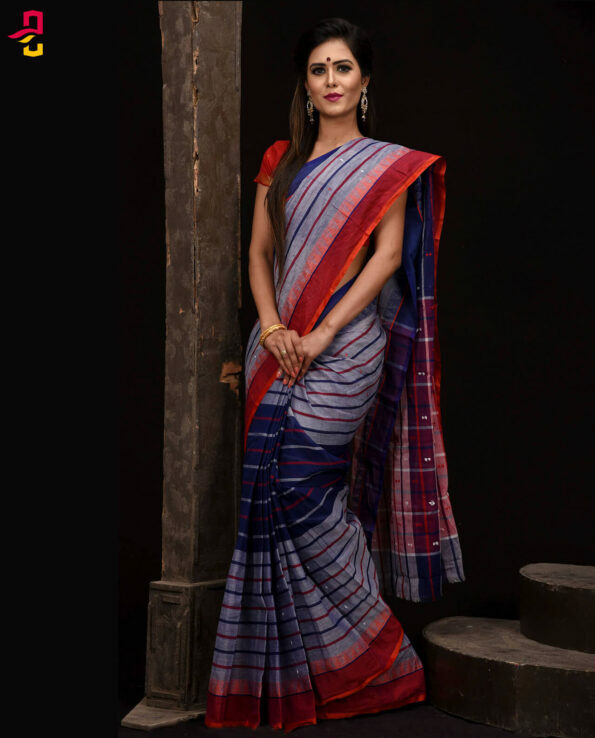 Our all saris or sarees or sharis are directly collected from the tanti (তাঁতি) or the saree makers who originate the Tangail saris or sarees or sharis. When you place an order with us, we will ship your saree from Tangail by SA Paribahan, Sundarban Courier Service or any other courier services which one is near to your address or easier for to collect from. All our saris or sarees or sharis are designed for simplicity and made from high quality materials. Its sleek geometry and material combinations creates a modern personalized look. You should be very careful in maintaining your precious saree. Wear and use your saree in a way that you do not need to wash it very frequently. Dry wash is recommended when it needs washing. You can wash by hands carefully using shampoo. Please talk to the people who are maintaining Tangail saris or sarees or sharis with proper care. Iron your saree softly with perfect heat before you wear. Always maintain your saree properly. Preserve your saree in a dry and clean place. Sometimes keep your saree under sunlight to remove fungus.